The mission of the Regional Public Safety Training Center is to provide training resources and high quality educational programs that offer partnering agencies the most cost-effective way to develop their public safety personnel. 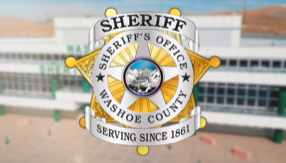 The Regional Public Safety Training Center (RPSTC), located on 124 acres in Reno, NV is an $18 million multi-use training facility which is owned by Washoe County. The Center operates under an Inter-local Agreement between Washoe County, the Cities of Reno and Sparks, the Sierra Fire Protection District (SFPD), and Truckee Meadows Community College (TMCC). This agreement allows for equitable participation in the administration and management of this state-of-the-art facility. Annual costs are apportioned to local law enforcement, fire agencies, and the Community College based upon a formula. The budget provides for administrative support, operational costs, maintenance, and capital outlays in support of the Center’s mission. Opened in 2002, the facility was envisioned to provide an exceptional training and learning environment for first responders as well as a cost savings to taxpayers. The RPSTC has high capacity fiber optic networks, wireless access points, state-of-the-art classrooms, a seven-story burn tower, off-road and paved emergency vehicle operations courses, shooting ranges with computerized target systems, driving and force option simulators, props for hazardous materials and technical rescue training, and a functional chemistry lab. Distance learning capabilities have been added via a web-based content management system and streaming and video-on-demand technology. The RPSTC hosts law enforcement, fire, and EMS academies and specialized courses throughout the year. Many of the classes are available for viewing and registration at http://www.rpstc-reno.com/. Center classrooms and other training resources are also available for use by non-partnering public safety and government agencies for a fee.